Hi y’all! 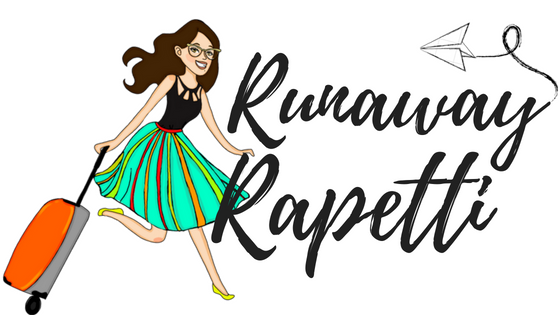 Rapetti Review had quite the hiatus but is back with a fun rebrand — say hello to the new and improved Runaway Rapetti! GUYS. My twenty-sixth year around the sun has been a little nuts – from dealing with my first break-up (See? I wasn’t kidding about being a late bloomer…) to moving back home after a short-lived stint in Astoria, I’m still very much figuring out what’s next for me. Life isn’t always the picnic folks make it out to be on Instagram (myself included), but it’s all a learning experience, amiright?! Recently, I attended my cousin’s Sweet 16 party (sidenote: when did high schooler’s get so grown-up looking?) the other night and couldn’t believe my own was 11-years-ago this September. If somebody had asked me back then what I’d be doing 11 years from now, my answer probably would’ve been: “Living in NYC, working for a fashion magazine, aspiring to be the next Miranda Priestly.” If you had asked me a year later, during my senior year of high school, my answer would’ve been less fashion-y, more news-y (I became enthralled with Anderson Cooper and had high hopes of working alongside him as a broadcast journalist). Since graduating college, I’ve had a number of jobs…from working at Barnes & Noble…to ABC News and NBC News…in and out of NYC…trying to figure out what I liked and what I didn’t. I realized traveling was a true passion of mine and I didn’t want to be another cog in the machine, waiting for my vacation days to accumulate… only to jet off and come back to a dull desk job. So, last year I decided to ditch the desk and work for myself, full-time! I’m a freelance writer, editor, and so-called ‘Jackie of all trades.’ I have tons of great clients and I occasionally write for travel sites, including The Vacation Times. I’m always looking for my next gig so if you’re in need of a content creator, check out my ‘Hire Me’ page here! I originally started ‘Rapetti Review’ while working at NBC News back in 2015 and the reviews were to be food-related. That aspect of the blog faded as I traveled more and then turned towards a pescetarian diet in 2016. I’ve always enjoyed a good bite to eat but focusing my blog around it wasn’t me. So, I welcome you to the new Runaway Rapetti blog! If you’re new here, check out my About page to learn a bit more about the gal behind the words! I’m excited to share my adventures with y’all … in fact, I’m heading back to Europe this Friday! I’m flying to Scotland (with a 20-hour layover in Iceland) and then I’m off to Copenhagen, London, and wherever else the wind takes me! Fellow Introverts, There’s a Subscription Box Just for You and Me! February 20, 2018 February 20, 2018 by Jackie RLeave a Comment on Fellow Introverts, There’s a Subscription Box Just for You and Me! The DNA Results Have Arrived and I Finally Know Who I Am! January 25, 2018 January 25, 2018 by Jackie R12 Comments on The DNA Results Have Arrived and I Finally Know Who I Am! Just over four weeks ago I sent a tube of my spit to the good folks at Ancestry to learn more about my ethnicity. While I was initially told it would take 6-8 weeks for results, it only took a month – wahoo!